An extensive range of high energy laser mirrors, beamsplitters, waveplates, partial reflectors, polarisers and coated windows are quickly available through Elliot Scientific from leading US glass shop OptiSource. 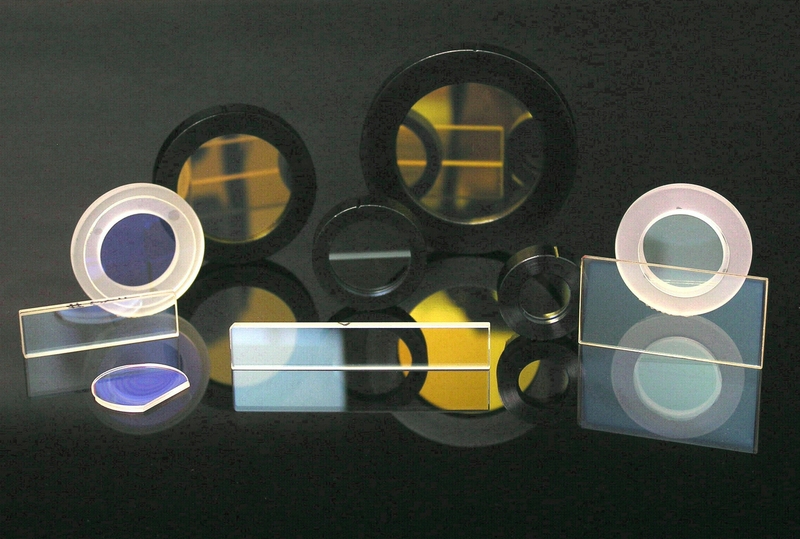 OptiSource place a strong emphasis on polarising optics. Low, Multiple and Zero-order waveplates are available in a choice of assemblies with ring mounting optional. OptiSource produce crystal quartz rotators at standard wavelengths in 45° or 90° rotation and calcite polarisers in Glan Thompson, Glan Laser, Glan Taylor, Wallaston and Rochon configurations. Beamsplitter cubes are also offered in various sizes for spectral ranges from 248 to 1550 nm. For a catalogue, UK stock availability and pricing, please contact us. This entry was posted on September 2, 2011 by Elliot Scientific. It was filed under Lasers & LED Systems, Optics and was tagged with AR, BBAR, beamsplitter, broadband, calcite, coated, Glan, IR, laser, mirror, optics, partial, polariser, polarizer, reflector, Rochon, Taylor, Thompson, UV, Wallaston, waveplate, window.